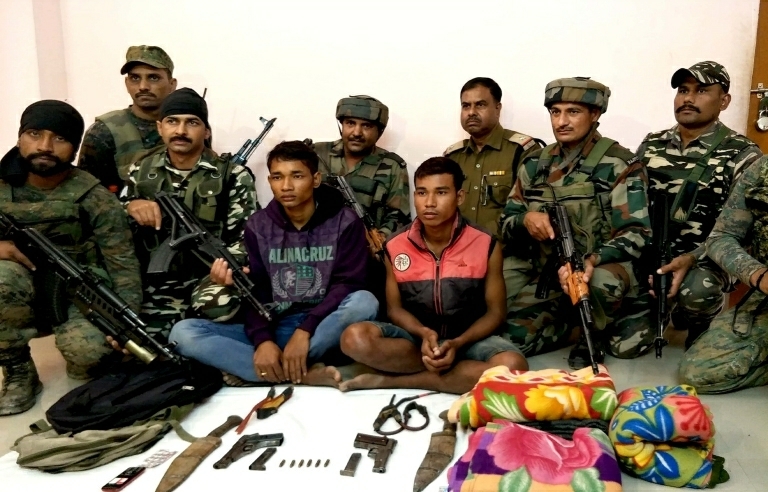 In a joint operation belonging to Assam Police, three Rajput army, 64Bn SSB and 210 Cobra apprehended two cadres of NDFB (S) at Jharbari forest area early in the morning in Kokrajhar district . It is under Serfanguri police station. During the search operation the police and security forces stumbled upon a makeshift camp in ride no 8 and apprehended the two cadres of NDFB (S). The cadres identified themselves as Birdao Basumatary (20), S/O Lt Kiren Basumutary, Vill-No 9 Dolhapara, PS-Kokrajhar and Lahit Narzary at Sansuma (20), S/O Sri Hemonta Narzary,Vill-Keotalpara,Ps-Kokrajhar. Some of the arms and ammunition that were recovered from the possession of the two NDFB (s) cadres are two 7.65 mm pistol with magazines , six live rounds ammunition, three catapults’ and Kukri from them. The NDFB (S) is an offshoot of NDFB – RD, formerly led by IK Songbijit. It was believed to have around 2270 cadres, and was managed by a 9-member “national council”. The NDFB(S) as popularly known by the media was an interim national council which was dissolved in general assembly held on 14 and 15 August, 2015 and a new national council was formed for the liberation of sovereign Bodoland.